Does anyone over the age of 5 or so still eat gummy snacks? I'm not sure, but I know James and I still eat them...on occasion. It seems like they all have artificial something or other in them these days, so I figured I'd make some. 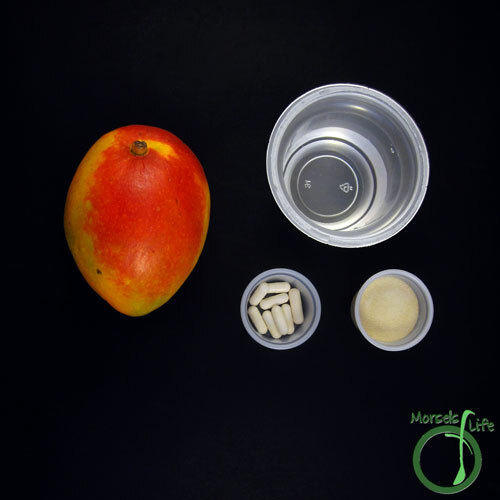 Plus, we'd accumulated a bunch of probiotics, and I thought these fruit gummies would be a great way to make some tasty mango gummies while using up some of the probiotics we had around. 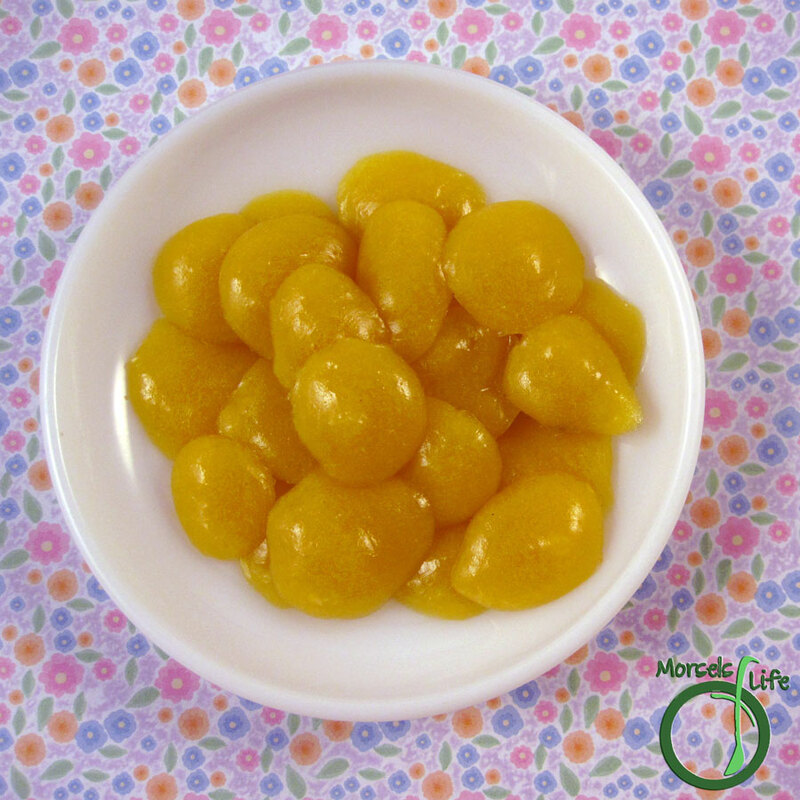 If you don't want to add the probiotics, you could easily skip them and make these mango gummies using just three ingredients - one being water. Another thing I liked about making my own, in addition to the whole controlling your materials thing, was the ability to customize flavors. You know how there's always at least one flavor you don't really like? Not a problem here. Make them all your favorite flavors - even if it's a flavor you can't buy! What's your favorite fruit snack flavor? 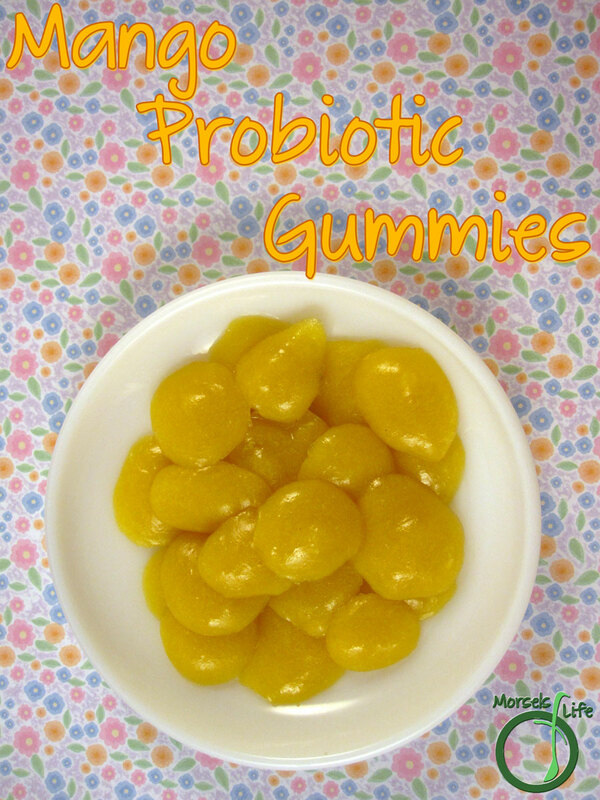 Simple and delicious, make your own mango probiotic gummies (only three ingredients) and eat only your favorite flavors. probiotics optional - I just opened up a bunch of capsules. water Use the amount specified on your gelatin. 2. 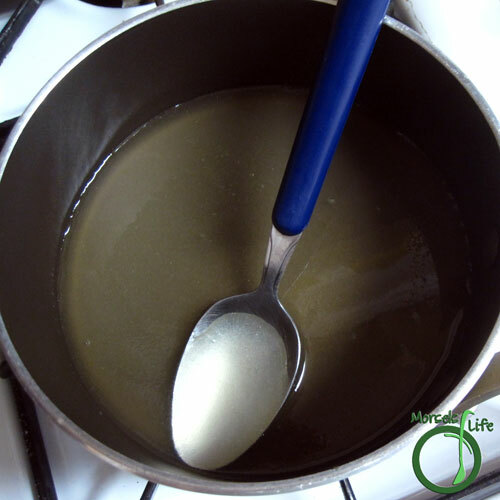 Wet gelatin in cold water, and then bring to a boil. 3. 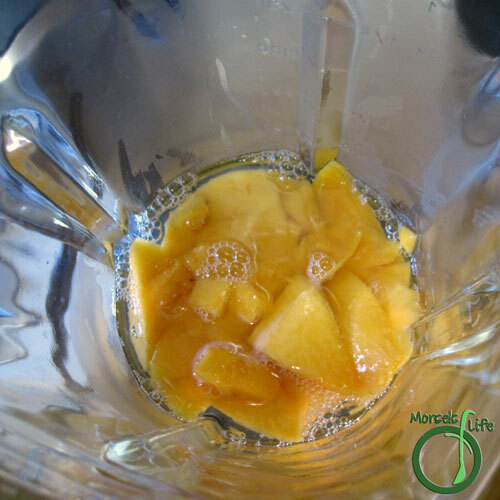 Blend mango together with dissolved gelatin. 4. Transfer into a bag. Add in probiotics if desired. Cut corner off and make gummies. 5. 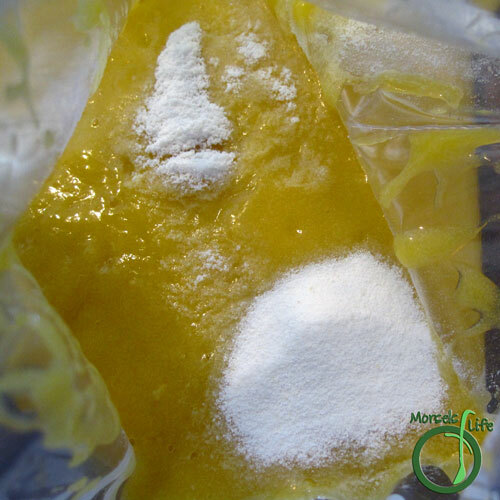 Refrigerate to set gummies. I just made small circles. You could also use a mold for more fun shapes. 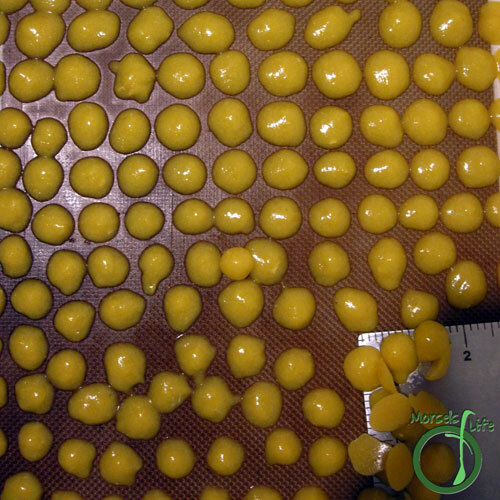 Once gummies have set, they're ready for eating! Store extras in refrigerator. Now this looks like something my jello-loving, cast-wearing boy might love! Will add it to his healthy snack choices...thanks for sharing! These gummy treats are such fun! I love being able to customize and know what's going into my food. :) You can be more creative than me and use some bear molds to make gummy bears too!